Cattails In The Meadows condos are located in Littleton Colorado within easy access to C-470 and the mountains. 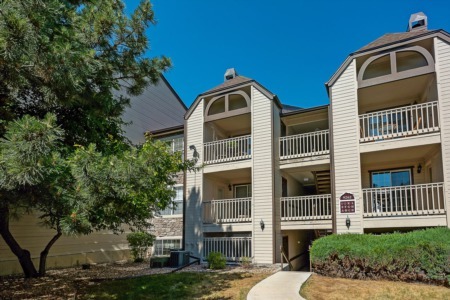 These townhouse style condominiums have granite countertops, built-in entertainment centers, and lofted ceilings. Master bedroom overlooks a courtyard patio. Many homes either face or back up to greenbelt making for a peaceful setting. The community is close to many shopping and dining options.